Gateway Mall in Araneta Center is fast becoming the favorite destination spot in the metropolis not only for being in a great location, but also for being a food and shopping hub. 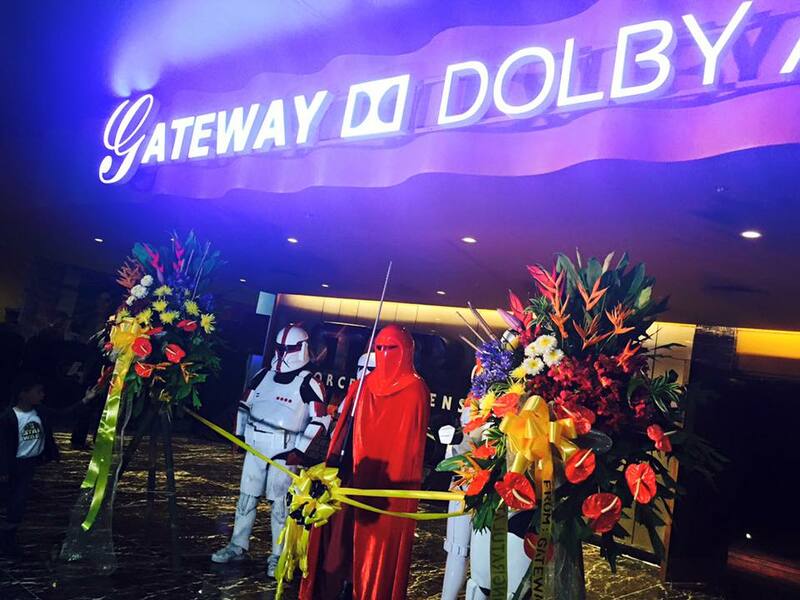 And now, they just launched the biggest Dolby Atmos Cinema in the country. The Gateway Atmos Cinema boasts of having an audio platform that produces powerful sound that seem to come from all directions. 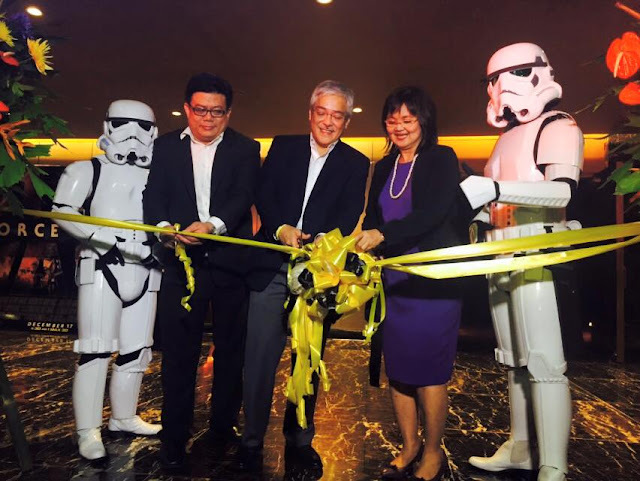 And what's a more suitable movie to launch the grandest Dolby Atmos Cinema in the country than Star Wars: The Force Awakens. The much awaited movie premier didn't dampen everyone's spirit as guests brave the heavy rains (Typhoon Nona) and traffic just to be able to watch the movie at the Gateway Atmos Cinema. 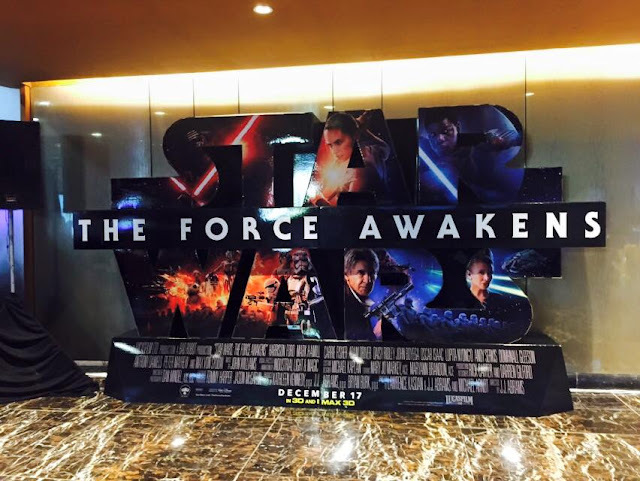 "We are very excited to screen Star Wars: The Force Awakens at Gateway Dolby Atmos Cinema 5. 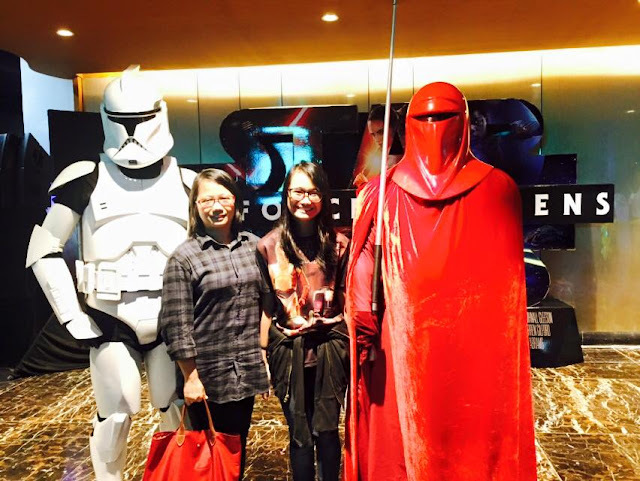 With its revolutionary sound technology, the theatre will be filled with breathtaking audio and the audience will feel like they are inside the Star Wars universe. This will definitely be a fantastic and world-class movie experience not just for Star Wars fans but for the whole family," says Araneta Group CEO Jorge Araneta. Are you a Star Wars fan? I know I am. 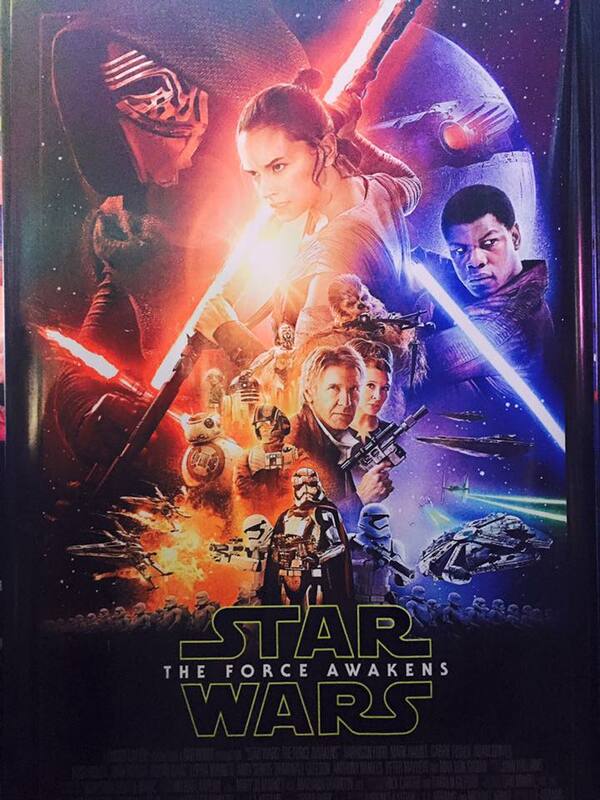 I was a kid when the first Star Wars movie (that's Episode IV) was first shown in the cinemas. Okay, let's not do the math okay? Anyways, watching the latest fill installment, Episode VII, brought back so many nice memories about the Star Wars film and I'm happy to see my favorite characters- Chewy (Chewbacca) and R2D2. My daughter though was too young to enjoy the prequel trilogy (The Phantom Menace, Attack of the Clones, and Revenge of the Sith). Actually, she wasn't even born yet when The Phantom Menace was first shown and watching the movies at home is really different than watching it on the big screen. Catch the latest Star Wars installment- The Force Awakens at the Gateway Atmos Cinema.